Lawn Care/Landscaping—The parish lawns and landscaping areas are cared for by a dedicated group of volunteers that love working outdoors. The volunteers are divided into several teams, with each assigned on a rotating schedule each month to operate mowers, trimmers, and blowers. We use several mowers including zero-turn riding, commercial wide-area, and walk-behind trim mowers. 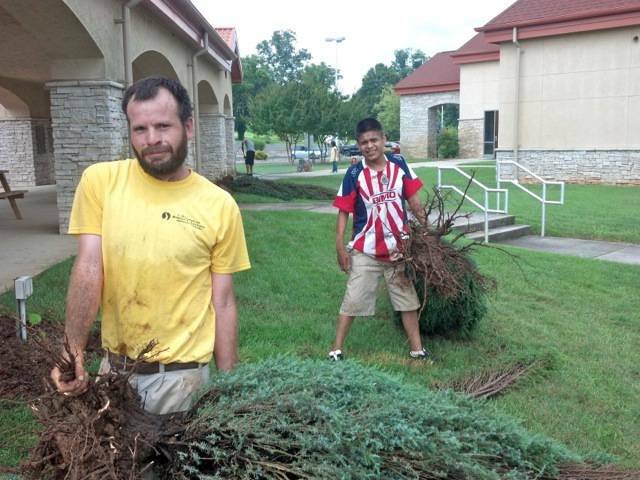 Other volunteers are involved in various landscaping projects around the campus. We have a variety of trees, plants and flowers that require planting and trimming, and each spring our landscaped areas are covered with fresh mulch. We also have a 22-zone irrigation system that provides water for our lawns and gardens. Our volunteers maintain this system by replacing sprinkler heads when needed, repairing leaks, adjusting spray patterns, setting irrigation schedules, and winterizing the system each fall. 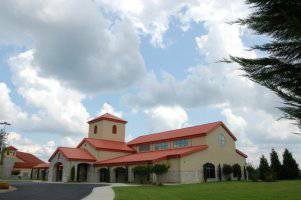 We are very thankful for our beautiful parish, grateful for the outstanding care provided by our lawn care and landscaping volunteers. If you would like to help with lawn care or landscaping please contact Keith Rivard. To download a PDF version of the schedule, please click here.